Only the best that our region has to offer – naturally. We are very proud to have strong partners and service providers in the holiday region. Our aims are just the same: we want to enthuse our guests! Every day. Again and again. And you can take full advantage of myriad discounts, reductions and bonus services. In Tyrol, the bread rolls and croissants (or ‘semmeln’ and ‘kipferl’, as we call them), and aromatic ‘vinschgerl’ flatbreads made using beer, are all baked to traditional local recipes. And during your holiday, to ensure that your palate quickly acquires an appreciation of these fine bread products, we purchase everything exclusively from local bakers in the Ötztal valley. Here, even basic foodstuffs such as milk and eggs are special delicacies in their own right. You won’t find ‘authentic’ or ‘original’ stamped or written on them anywhere, but you’ll certainly taste the difference. We love to treat our guests to local products – for breakfast or, on request, for a barbecue on your terrace or any other meals you might want to prepare in your holiday house. Simply tell us what you need. On a culinary level, the ‘good old days’ are still very much alive here in the Ötztal valley. Many things have hardly changed over the past 100 years. Our cows still spend the summer months high up on the Alpine pastures or on the lush, green meadows down in the valley. The cheesemaking practiced by local dairy farmers is a skilled craft. Ham, sausage and ‘speck’ bacon are prepared using generations-old family recipes. The dough for bread and rolls is always home-made. Sample our traditional specialities, tasty local delicacies and fresher-then-fresh home-made fare. We’re also happy to cater to the needs and wishes of vegetarian or vegan guests. There are several secret ingredients that make our local specialities so irresistible. Should we let you in on them? They are tradition, skill, love and naturalness. Here in the Ötztal valley. And here in Chalet Resort Sölden. Passion, professionalism and fun - these are the principles of the bike school RIDE ON. Using these tools, learning gets easier and progress is even bigger! Every rider, no matter if rookie or pro, young or old, Mountainbike or Enduro fan, is welcome to join us. Sunshine on your back, airstream on your face, freedom in sight – thanks to Bikeschule Hike & Bike Ötztal you don't waste any time on trails you don't like. Only certified guides and instructors take you safely to the picture-book Ötztal mountain world. No matter if you prefer mountain biking, downhill riding, leisurely cycling or mountain biking marathons, the expert Hike & Bike team offers varied units for all ages and skill levels. You can either take part in group instruction or enlist a private guide: the choice is all yours. Made to measure programs according to your personal preferences are scheduled all week. Every mountain bike tour will be a one-of-a-kind adventure! And what's best, as you stay in a partner lodging you receive a 10% discount on all courses. Are you still in search of a real specialist when it comes to summer sports and activities in Sölden? Then you have already found what you were looking fori Intersport Glanzer is your premium partner. Sports equipment, clothing, bicycle and mountain bike rental, trendy fashion items and accessories make your heartbeat faster. The unrivaled sports shop is one of our service partners, ideal for all those who want to explore the Ötztal Valley on a bike. Holders of the Ötztal Premium Card get one standard bicycle rental for free. 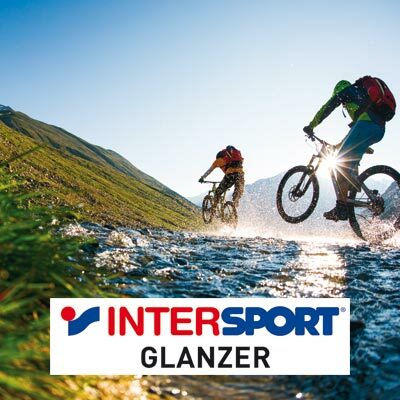 If you hire your bike more than just one day at Intersport Glanzer you receive a 10% discount on each following day - as well as on electric bikes, downhill and special bikes. 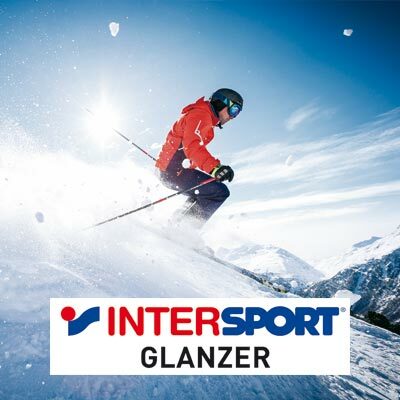 Intersport Glanzer is Sölden's biggest sports shop expert, being a part of the huge Intersport network. Be it down in the valley or high up in the ski area Intersport Glanzer is always on your doorstep! In all branch stores you can choose from an infinite number of perfectly tuned skis, snowboards, boots, helmets, fun sports devices plus the latest winter sport equipment and trendy fashion. The friendly and expert service team will provide you with the latest sports equipment according to your ability level. All guests staying at the Chalet Resort Sölden get a 10% discount on rental equipment, and there is a special families deal: if both parents rent a ski or snowboard, their kids under 10 years get a complete rental ski equipment for free. It's the power of opposites that attracts water fans to the Aqua Dome. A fabulous thermal spa center amidst the scenic mountains. Earthy depths and mighty heights. Warm and cool. Deep relaxation coupled with a sense of revitalizing spirit. A very special spa experience is waiting for you on some 50,000 m². What's more, our Chalet Resort Sölden is a partner lodging of Aqua Dome: therefore you receive a generous 10 % discount on admission tickets. 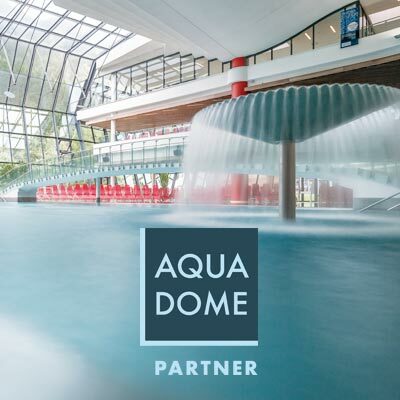 Additionally, we can provide varied information folders about all other offers, treatments and spa programs at the Aqua Dome - don't hesitate to contact us for further details. More Information is also avalible here. Enjoy the beauty of nature in the mountains of Ötztal accompanied by highly qualified mountain, ski and alpine guides as well as rafting guides. Our Ötztal guides from Alpinguides lead you throughout your excursions and make your vacation an unforgettable adventure.